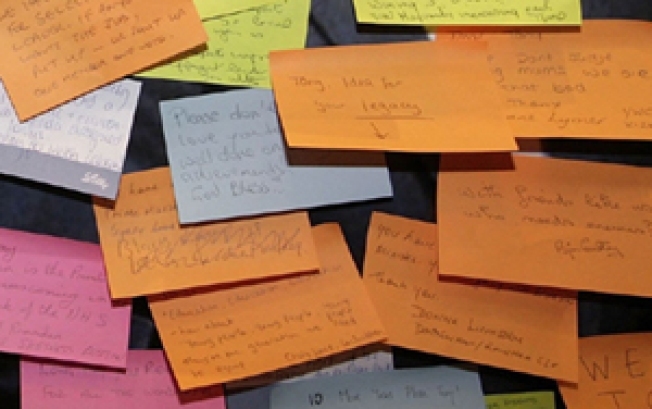 Time Out asked readers to scribble their dark secrets on (anonymous) sticky notes. To add to TONY's gallery, write your darkest secret on a sticky note and mail it in. As part of its annual "Secret Lives" issue, Time Out New York went looking for dirt -- genuine dirt -- on your neighbors, friends, and the guy at the deli. They asked some of these people to write their deepest, darkest secrets on sticky notes and submit them to the magazine, and have turned them into a gallery online (you can also spy them in the pages of the issue on stands now). From harmless asides like "I don't know how to use a washing machine" to slightly more cringe-inducing admissions such as "I'm having an affair with my high school teacher… 7 years later," they'll all make you feel much more human. Want to add your secret to the gallery? Time Out tells you where to send it. See the lineup here.